Choosing the flooring for your home is a big decision. Flooring is something you will have to live with for a long time, likely the duration of the time you live in your home. It is a wise idea to choose carefully and prudently. Wood flooring is always a popular choice because it looks nice and is durable. Further, it goes with almost any décor, so your options for decorating your home are not limited by your flooring choice. 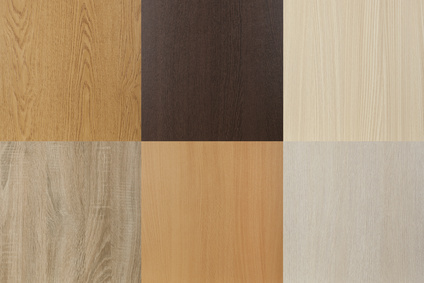 There are many different types of wood flooring to choose from. Once you make the choice to lay down a wood flooring, your choices don’t stop there. You will need to decide what type of wood flooring you want. Before making the big decision on what type of wood flooring to get, it is worth asking some important questions. The first thing you should ask yourself is where the wood will be going. The use of the room is important in determining what type of wood flooring you will put down as some woods are more durable than others. Also, different types of wood work better in basements and others are more appropriate for floors that are above ground. You will also need to know what type of subfloor you have. There are three common types of subfloors: concrete, plywood, and particleboard. The type of subflooring you have goes a long way in determining what type of wood flooring you can install. If you have concrete subflooring, you are essentially limited to engineered wood. If your heart is set on a solid hardwood floor, you will need to lay plywood over the concrete first. Plywood is the most common subfloor because it is the most versatile. Particleboard is a less expensive form of plywood. If your subfloor is currently made of particleboard you will need to replace it with plywood before you install any kind of wood floor. Your living habits will also go a long way in determining what type of wood flooring to purchase. Floors that get heavy use or are exposed to pets need to have a harder wood. A good choice for a harder wood is red oak. Another way you can go with heavy-traffic areas is installing wood flooring with a grain pattern or darker finish to hid mars and imperfections. Although hardwood floors generally suit any décor, some wood types lend themselves better to certain styles. Consider the cabinets, trim work and casings that you already have in your home before you decide on a particular wood flooring. Also, be sure to choose a wood floor that complements your current décor. Coordinate colors and styles that you already have within your home. Everyone has different priorities when it comes to home decorating. Think about what is most important to you. Are you budget conscious? Are you more concerned with the final outcome? Do you want something that is easy to maintain? The right answer for these questions depends solely on your priorities as a home owner. But, you need to know where you priorities lie in order to make the best decision for your wood flooring. Some wood floors are more economically priced than others. If you are watching your costs and have a strict budget, then you will want to keep your focus on lower-priced woods. If cost is not a factor for you, and your main priority is the final look of the floor, then go with what aesthetically pleases you more. If your preference is for a more expensive or exotic wood, go ahead and put it down. If what you are looking for is a wood floor that is easy to maintain, go with a harder wood that can stand up to heavy traffic and opt for a polyurethane stain. Once you have chosen the perfect hardwood floor for your home, you need to stain it. Not only does staining wood give it some color, it also provides a level of protection to the wood. This is especially important for wood floors since they get a lot of use. In general, any stain can be applied to any wood, so go ahead and play with some combinations to see what you like best. If you don’t want to stain the wood yourself, you can purchase pre-stained wood and save yourself a step. Before you make a final decision of purchasing wood flooring to cover an entire room, ask the seller for a small sample. Take it home and see how you like how it looks in your house. Put it through some strength tests to see how easily it will dent. If you like it, go ahead and make the purchase. If you don’t, keep looking.